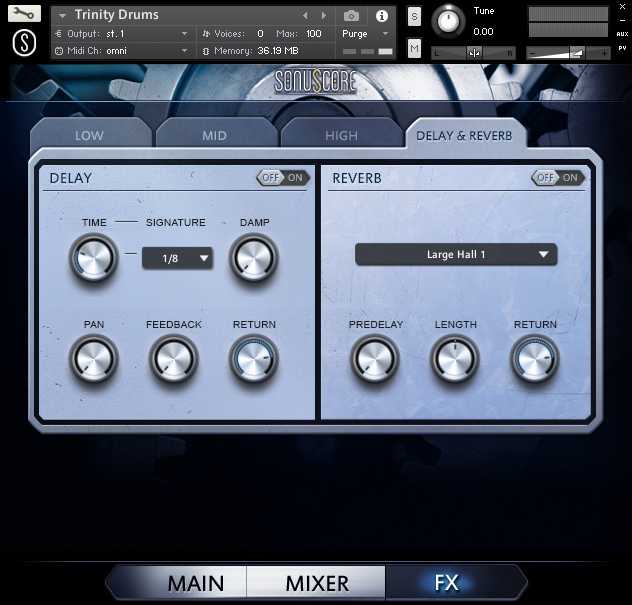 TRINITY DRUMS is a powerful collection of cinematic and modern grooves combined in a flexible, innovative virtual instrument. 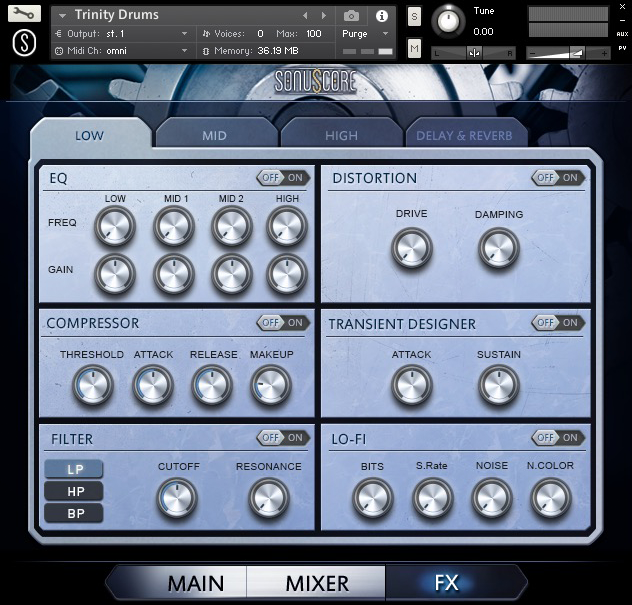 The character of the included rhythmic themes ranges from earth- shaking monstrosity to delicate rhythms and even electronic beats - all created from high quality recordings by the sound design specialists from the Boom Library and produced by the experienced team of composers at Dynamedion. YES, YES and YES! 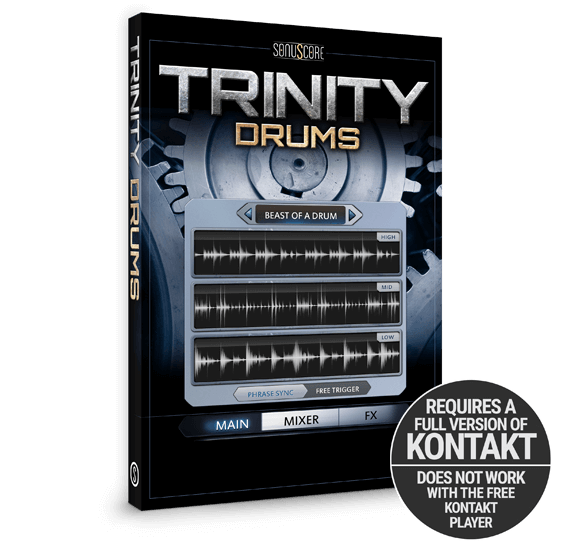 With TRINITY DRUMS, everything fits perfectly. While experimenting with the instrument, an appreciative smile flitted across my face. 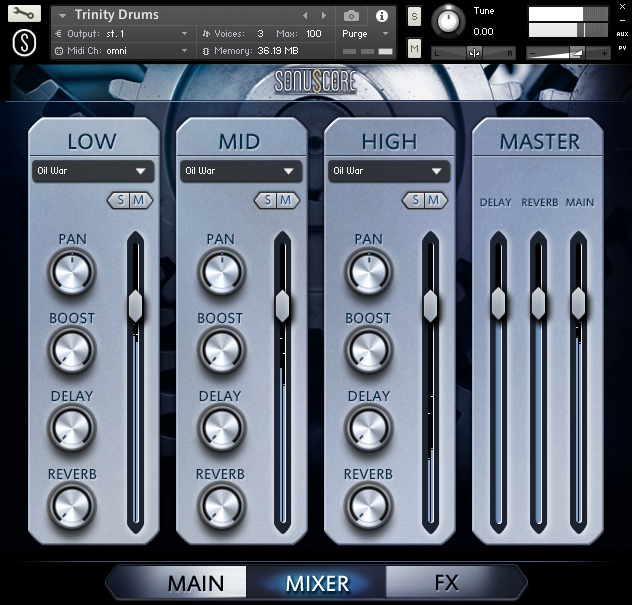 The concept is just amazing, it’s everything in one instrument, easy to access, all parts are separately accessible with the keyboard and everything is easy to tweak with reverberation, EQ, etc. The sounds and loops sound big, fresh and dynamic. The tempo range with 90-140 BPM is great because basically everything happens within that range. There are no useless tempi, the grooves are commercial but also have their individual touch. You have really outdone yourselves, I will definitely make frequently use of it. 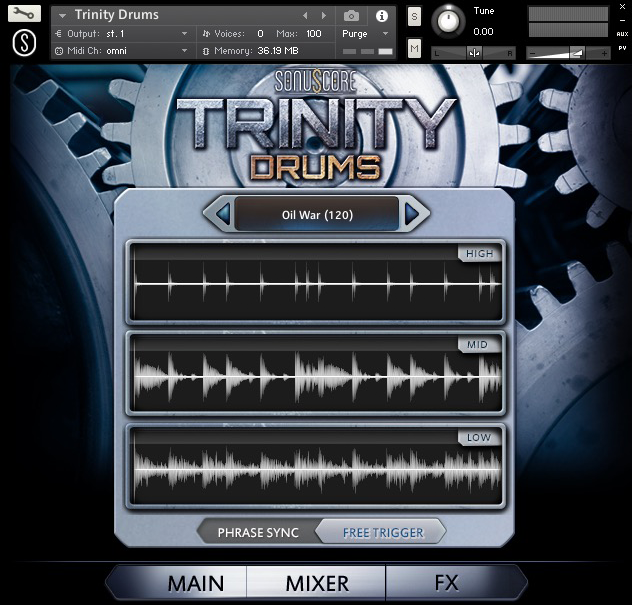 TRINITY DRUMS sounds really amazing, and it will be an awesome weapon to work with.